Other event promoters will be green with envy when they see these incredible advertisements! 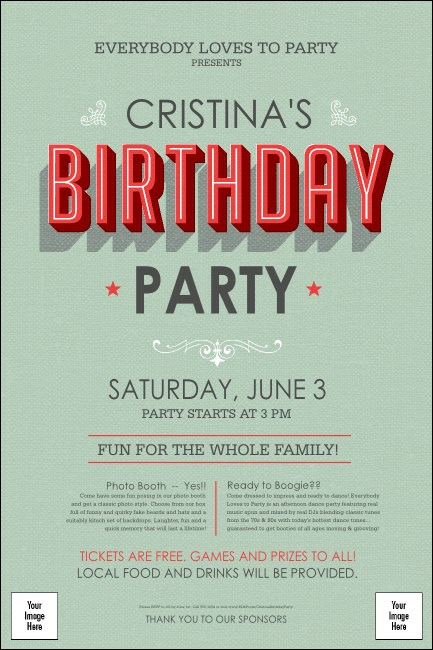 Promote your big birthday blowout in advance with Birthday Party Green Posters. Each Poster has a soft-green, textured background design and includes space to upload two of your own, personal images. TicketPrinting.com helps your birthday grow into a great event.